The photo project will resume when I have regular internet access again - in the meantime, here are some miniaturised book reviews. I had intended to do more mini-reviews tonight but things did not go to plan - everything is okay, but I had to suddenly leave this and am only back some hours later. These books are both excellent though unlike some I have reviewed in the past, are not necessarily books I'd recommend for all people. 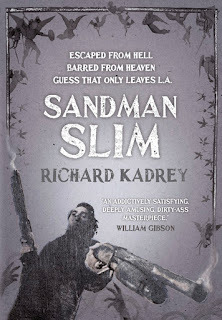 I read Sandman Slim by Richard Kadrey some weeks ago, it's gritty, bloody and pulls no punches. The man character talks hims toughness up, then proceeds to get the snot kicked out of himself repeatedly. Last time I read a book that did that I was seriously unimpressed as the supposedly super-powerful hero proved to be about the flimsiest thing out. Not so in this case. Stark, our serial-car-thieving anti-hero, gets away with this as he takes a lot of damage but just keeps on going anyhow. An interesting world and a great (if seriously nasty, angry, revenge obsessed and all-round messed-up) anti-hero. I do have a couple small gripes - notably concerning a fictional weapon that just seems too convenient and the fact that I can't help but relate the name Stark to Iron Man and George R R Martin. But on the balance of things I really enjoyed this book. 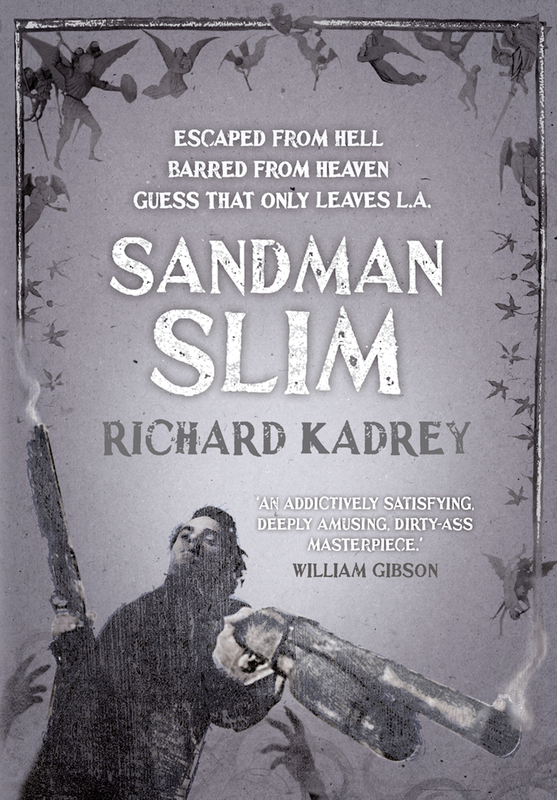 This is very much at the horror end of the urban fantasy/paranormal spectrum - which suits me just fine as I prefer to avoid the romance end of the genre. If graphic violence in books is a turn-off this is not the book for you as it is frequent and intense. If you can handle it, it's good fun and well written. I've started on book two, Kill the Dead, and while it's good as well it's failing to catch me as much as the first book. I can't place my finger on why, exactly. I'm hoping it'll pick up as despite loving the genre, at least in principle, there are precious few urban fantasy series out there that I enjoy and this has potential to be added to the list. 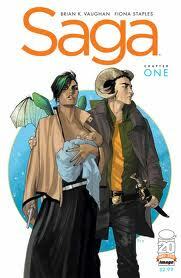 Volume one of Saga by Brian Vaughan is probably one of those graphic novels that gathers complaints in libraries. Notably from those who open to a page and gasp in horror, not quite realising that it's okay to read comics after the age of fifteen, and thus okay for comics to be adult in nature. Or is that my cynicism showing too much? This beautifully illustrated comic holds up a sci-fi mirror to some of the long-term conflicts in our world and does so in an original and interesting universe. The characters are well developed - I particularly liked Izabel, a teenage ghost (or at least the upper half of one). I enjoyed this and recommend it for any adult who enjoys graphic novels. If I were introducing someone to comics I'd probably choose something else. A number of scenes are sexually or violently graphic or just... really unusual. But the worst thing about this book? Volume two is not out yet. I want to know where this story goes next!